The brand story is Korean cutting-edge skincare technology + apothecary know-how from 1800s Scotland. But how do the products really stack up? In partnership with belif; thoughts and opinions are my own. 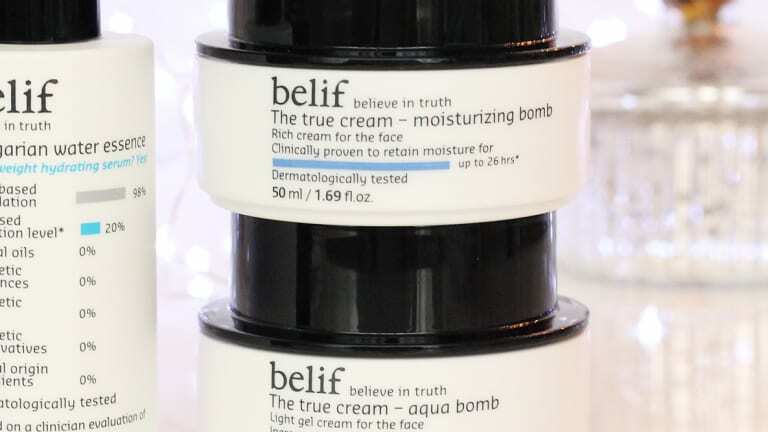 I think it&apos;s obvious by the end of my previous post on the belif True Cream ingredients that I&apos;d already been into my sample jars. Also obvious is that I&apos;d already formed a favourable impression of the Aqua Bomb and Moisturizing Bomb textures as well as their efficacy, especially in this heavy-sweater season. But now, more than a week later, what&apos;s different? I&apos;ve added the belif Hungarian Water Essence to my routine, so there&apos;s that. I love essences (also known as softeners or softening concentrates). A standard component of Japanese and Korean skincare, they&apos;re usually at least a touch thicker than toner, and a bit more liquid than serum, and thus designed to be used as the step between toner and serum. I think of essences mostly as an appetizer serving of hydration – the skin&apos;s pre-dinner drink, if you will. And they&apos;re a must for my oily, dehydrated complexion. Belif Hungarian Water Essence ($51 CAD at thefaceshop.ca and $42 USD at sephora.com) seems to be inspired by an age-old water-and-rosemary tonic apparently concocted for the 14th-Century&apos;s Queen Elizabeth of Hungary as a means of keeping her skin youthful. Along with rosemary extract, this 21st-Century belif essence contains glycerin, as well as centella asiatica (aka gotu kola or tiger grass; it&apos;s in my beloved Cicaplast... and Greens+ Extra Energy! ), lavender, rose, oat kernel, and calendula extracts. Sodium hyaluronate (a version of hyaluronic acid), a bit of silicone and a film-forming polymer appear near the end of the ingredient list. 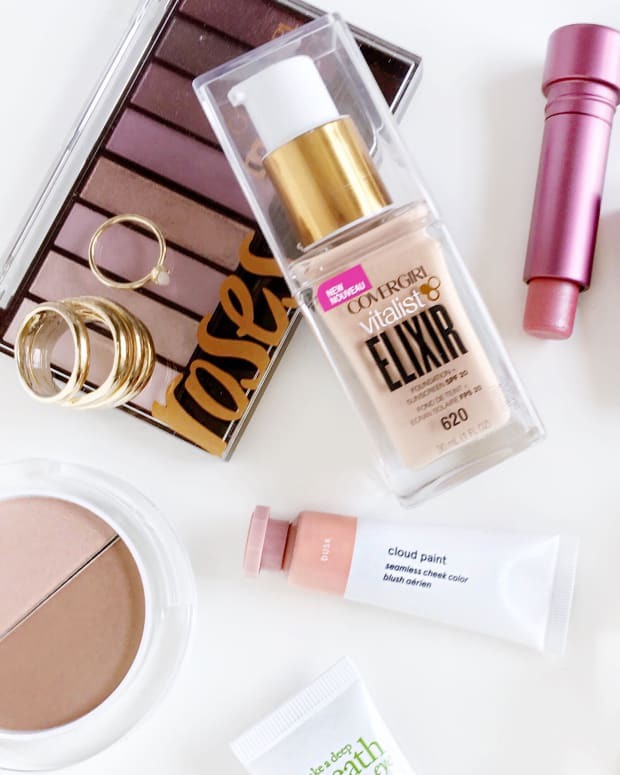 Like the True Creams, it&apos;s made sans mineral oil, animal-origin elements, and synthetic dyes, fragrances and preservatives. 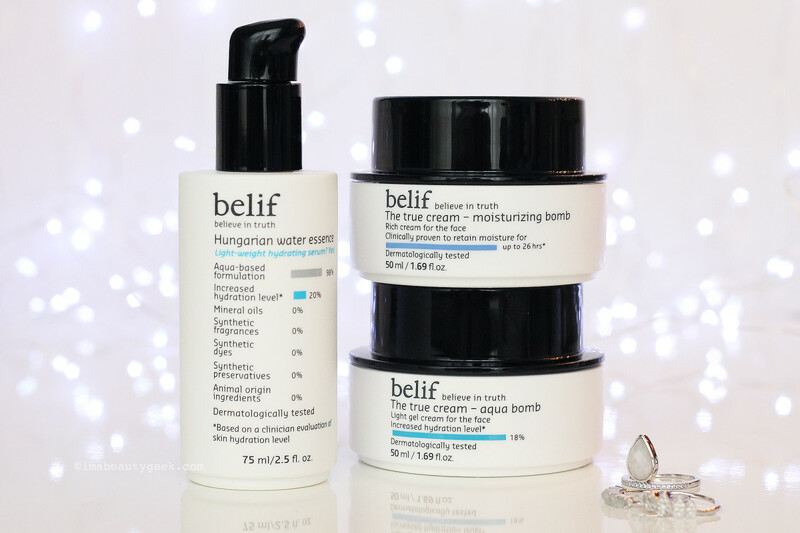 As essences do, belif Hungarian Water Essence feels wonderfully refreshing on skin, and when followed with the equally refreshing belif True Cream Aqua Bomb or True Cream Moisturizing Bomb, seems to up the level of water in my skin. Whether it&apos;s the 20% boost promised on the box, I don&apos;t know, but my complexion feels more comfortable with the essence as part of my routine. As for the True Cream Aqua Bomb and Moisturizing Bomb ($47 CAD each at thefaceshop.ca and $38 USD at sephora.com), my favourable impression continues. For the most part, I&apos;d save Aqua Bomb for daily use in warmer weather. 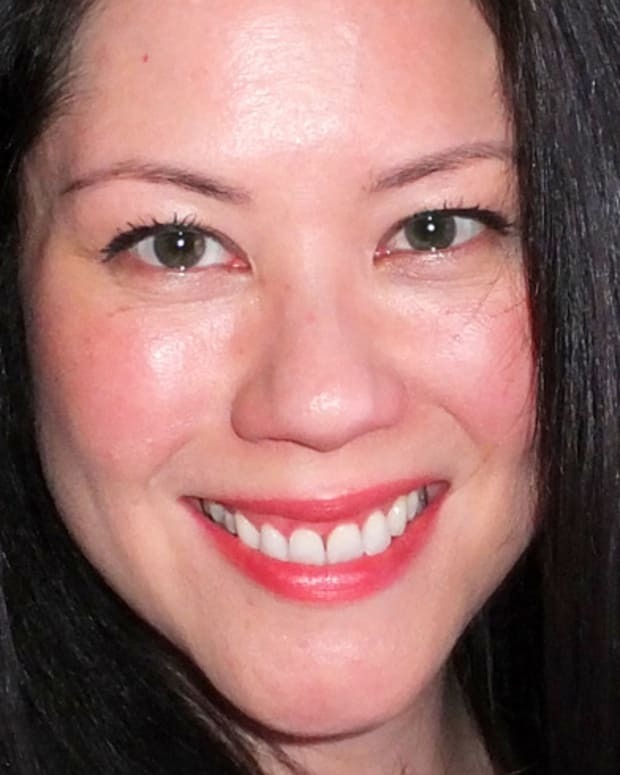 On a whim, though, I tried a generous layer of Aqua Bomb as an in-a-pinch hydrating mask – it felt great! After a couple of minutes, I leisurely massaged the excess into my skin because I didn&apos;t want to waste it. I&apos;ve tried Moisturizing Bomb as a mask too; it&apos;s more emollient than Aqua Bomb, though, made with a little less water, so it doesn&apos;t deliver quite the immediate hydration splash that Aqua Bomb does. That said, Moisturizing Bomb&apos;s higher emollient content works nicely as a protective barrier against winter cold without feeling heavy. I&apos;m really enjoying it right now. Along with belif Hungarian Water Essence, my Moisturizing Bomb will be all gone before winter ends. And now I&apos;m very curious about the rest of the line. Thoughts? 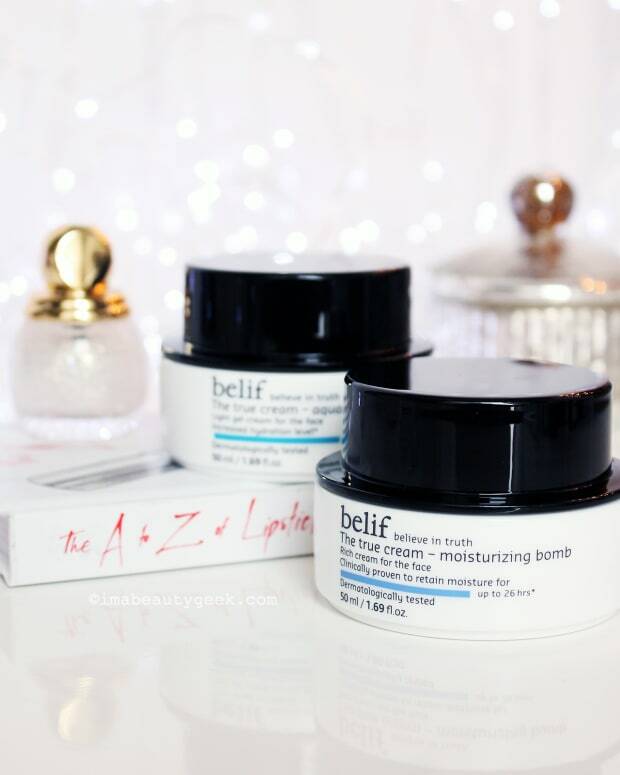 Have you tried either the belif Aqua Bomb or Moisturizing Bomb as an in-a-pinch mask? 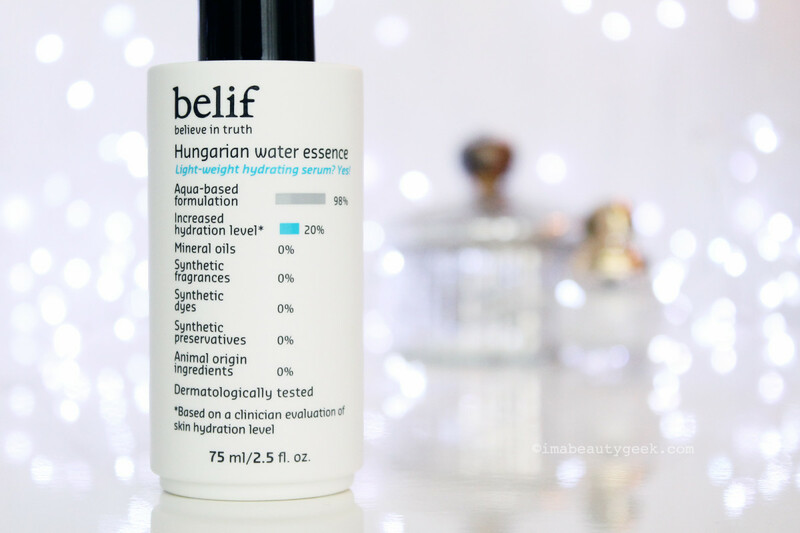 And/or have you tried the belif Hungarian Water Essence? Or the Aqua Bomb Sheet Mask if you&apos;ve had access to it? Belif Hungarian Water Essence ingredients: Water, Dipropylene Glycol, Glycerin, 1,2-Hexanediol, Rosmarinus Officinalis (Rosemary) Extract, Centella Asiatica Extract, Lavandula Angustifolia (Lavender) Extract, Salvia Officinalis(Sage) Leaf Extract, Melissa Officinalis Leaf Extract, Achillea Millefolium Extract, Peucedanum Graveolens (Dill) Extract, Alchemilla Vulgaris Extract, Rose Extract, Poncirus Trifoliata Fruit Extract, Portulaca Oleracea Extract, *Avena Sativa (Oat) Kernel Extract, *Calendula Officinalis Flower Extract, *Nepeta Cataria Extract, *Rubus Idaeus (Raspberry) Leaf Extract, *Baptisia Tinctoria Root Extract, *Stellaria Media (Chickweed) Extract, +Alchemilla Vulgaris Leaf Extract, **Equisetum Arvense Leaf Extract, **Urtica Dioica (Nettle) Leaf Extract, **Plantago Lanceolata Leaf Extract, Sodium Hyaluronate, Cyclopentasiloxane, Triethylhexanoin, Tromethamine, Sclerotium Gum, Ammonium Acryloyldimethltaurate/Vp Copolymer, Acrylates/C10-30 Alkyl Acrylate Crosspolymer, Trisodium EDTA, ***Fragrance, Citronnellol, Limonene. *Napiers Original Formula. **Napiers Aqua Formula. ***Fragrances of Natural Origin.